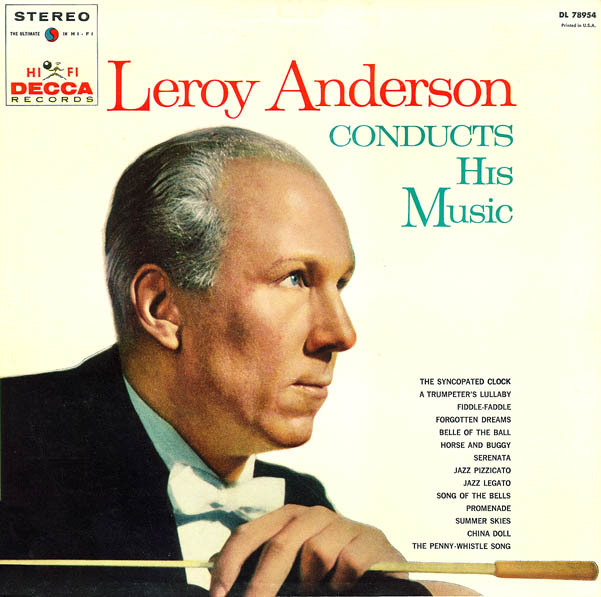 The following is a selected discography of original recordings by Leroy Anderson. They were released from 1958 to 1962 on 33 1/3 rpm discs and on digitally remastered compact discs released posthumously. 78 rpm & 45 rpm discs from 1945-1962 and releases of identical recordings on different labels in U.K., Germany, New Zealand and elsewhere are not listed.